We would like to sincerely thank all WBW celebrants from over the globe who celebrated WBW so successfully this year. To date, we received 316 pledges for events taking place globally, involving more than 1,248,142 celebrants. THANK YOU for all your great work, and Congratulations to everyone involved for making WBW such a success! WABA is now pleased to announce that the slogan and theme for WBW 2014 is BREASTFEEDING: A Winning Goal - for Life! The theme asserts the importance of increasing and sustaining the protection, promotion and support of breastfeeding - in the Millennium Development Goals (MDGs) countdown, and beyond. This focus was discussed and decided on at the WABA Extraordinary Global Breastfeeding Partners Meeting (EBPM) held in Penang, 8-10 November 2013; with earlier discussions during the WABA Global Forum and Global Breastfeeding Partners Meeting (GBPM) 2010; as well as at the 2011 and 2012 WABA Steering Committee Meetings. The WABA Senior Technical Advisor, Amal Omer-Salim, has been appointed Key Writer for the WBW 2014 Calendar Announcement and Action Folder, working with small team of WABA SC members, and Core Partner representatives. To inform people about the MDGs and how they relate to Breastfeeding and Infant and Young Child Feeding. To showcase the progress made so far and the key gaps in Breastfeeding and Infant and Young Child Feeding. To call attention to the importance of STEPPING UP actions to protect, promote and support breastfeeding as a key intervention in the Millennium Development Goals (MDGs) countdown, and in the post 2015 era. To stimulate interest amongst young people of both genders to see the relevance of breastfeeding in today's changing world. The Calendar Announcement will be developed and should be ready for distribution in January 2014. So do keep a lookout for it. Wishing you all a Merry Christmas and very Happy New Year! 1. To draw attention to the importance of Peer Support in helping mothers to establish and sustain breastfeeding. 2. To inform people of the highly effective benefits of Peer Counselling, and unite efforts to expand peer counselling programmes. 3. To encourage breastfeeding supporters, regardless of thei r educat ional background, to step forward and be trained to support mothers and babies. 4. To identify local community support contacts for breastfeeding mothers, that women can go to for help and support after giving birth. 5. To call on governments and maternity facilities globally to actively implement the Ten Steps, in particular Step 10, to improve duration and rates of exclusive breastfeeding. SUPPORT for breastfeeding illustrate the potential influences on a mother's decision to breastfeed and to have a positive breastfeeding experience. Previously featured during World Breastfeeding Week 2008, the Circles of Support continue to be a vital foundation for mothers to breastfeed their babies, and more. 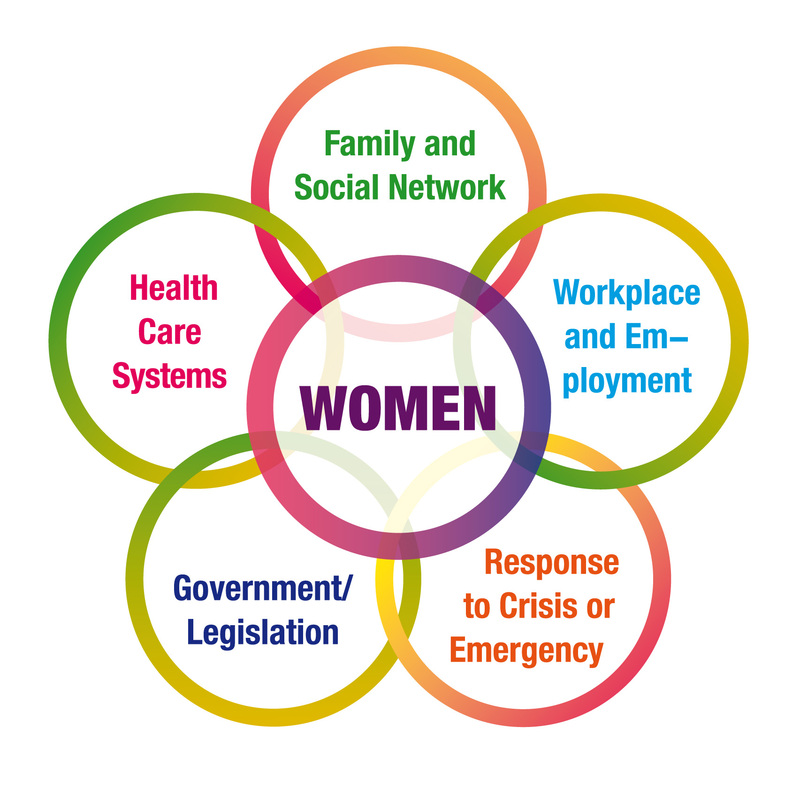 The CIRCLES OF SUPPORT are: Family and Social Network, Healthcare, Workplace and Employment, Government/ Legislation and Response to Crisis or Emergency, all surrounding women in the center circle. Husbands/partners/fathers, family and friends compose the mother's immediate and continuous support network. Social support includes community support - at the market place, within a religious context, at a neighbourhood park, etc. Support during pregnancy reduces stress. Support during labour and birth empowers the mother. Societal support increases the mother's confidence in her ability to breastfeed beyond the early weeks and months. This includes a multitude of opportunities to support breast feeding. These opportunities range from mother friendly prenatal care and supportive labor and delivery services to postpartum and postnatal care that facilitates bonding and optimal infant feeding. Health workers trained in counseling skills support mothers before and after birth. Employed women face challenges and need support to succeed at working and breastfeeding. The opportunities for mother support are as varied as the work women do, but usually involve facilitating mother-baby contact or expression and storage of breast milk. Women who plan to breastfeed or who are already breastfeeding benefit from the support of international documents, protections for optimal infant feeding, plus active and well funded national commissions. Legislation that combats aggressive marketing of breastmilk substitutes and enacts paid maternity leave also benefits breastfeeding women. This CIRCLE OF SUPPORT represents the need for support IF a woman finds herself in an unexpected and / or serious situation, with little control. Situations that require special planning and support are: natural disasters, refugee camps, divorce proceedings, critical illness of mother or baby, or living in an area of high HIV/AIDS prevalence with no support for breastfeeding. We would like to thank all WBW celebrants from well over 170 countries who celebrated the WBW 2012 so successfully! We received 290 pledges for events taking place globally, involving more than 107,990 celebrants by end 2012 - a number which might increase as reports continue to come in! A Hearty Congratulations to Everyone Involved! WABA is now pleased to announce and encourage your involvement in WBW 2013, with the theme, 'BREASTFEEDING SUPPORT: CLOSE TO MOTHERS", which focuses on Peer Counselling. The focus/theme on Peer Counselling was proposed and mooted at the WABA Global Breastfeeding Partners Meeting of 2010, with great support from the network. The slogan and content were further discussed and decided on at the WABA Global Breastfeeding Partners Meeting (GBPM) held in Delhi, 5-6 December 2012. WABA's Mother Support Task Force coordination, led by Anne Batterjee, has been appointed as 'Key Writer' for the WBW 2013 Calendar Announcement and Action Folder etc, working with small team of WABA SC members, and Core Partner representatives. As Anne notes: "Fifty six years ago, seven breastfeeding mothers came together and realized that their abilities to breastfeed their own infants came from being provided with information, education and emotional support from each other. That so many other mothers who longed to breastfeed could be enabled to do so if only those around them, their Peers, had the knowledge and skills to be supportive. La Leche League International was launched, and Mother to Mother support was born... Women's social networks have major impact on their health related decisions. Women are often drawn to other women with whom they share life experiences, especially when those experiences relate to parenting. When new mothers have someone who can understand and identify with their experiences, they can better enjoy and cope with parenthood. A peer counselor is an invaluable partner with mothers in their journey through parenthood, helping them gain confidence in their ability to breastfeed. Peer Counselors model the idea of seeking information from others, which will help moms realize that the breastfeeding journey is a learning process for us all...". Once again WABA has created a special Website to coordinate and link people on the theme. This website is a one stop centre where you will be able to download WBW 2013 materials such as the Calendar Announcement, The Action Folder, related Poster, translations of these materials, as well as join in our annual Photo Contest etc. We hope that all celebrants will utilise this site and make their pledges for their events so that we will be able to share these activities with the world! We look forward to collaborating with you to make World Breastfeeding Week 2013 a great success. World Breastfeeding Week 2013 is part of the gBICS (Global Breastfeeding Initiative for Child Survival) Programme. The gBICS Programme aims to contribute to the achievement of sustainable development - beyond the Millennium Development Goals - by scaling up breastfeeding and infant and young child interventions and transforming Policies into Practice which contributes to efforts aimed at addressing climate change and gender inequality in the framework of human rights. WABA is grateful to NORAD (the Norwegian Agency for Development Cooperation) for its support of gBICS. WBW 2013 Action Folders are now available in English, Spanish, French and Arabic. You can now order WBW 2013 merchandise online at WBW 2013 merchandise page. WBW 2013 Photo Result is out! 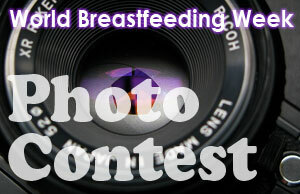 WBW 2013 Photo contest is now open! Click on the link above for more information. The launch of WBW 2013 calendar by Wivina Belmonte (UNICEF Malaysia Representative) and Victor Karunan (UNICEF Malaysia Deputy Representative) , together with Dato Anwar Fazal. Tweets about "world breastfeeding week "